Murata Manufacturing Co Ltd developed a motion sensor that enables to operate a device just by moving a finger without touching it. 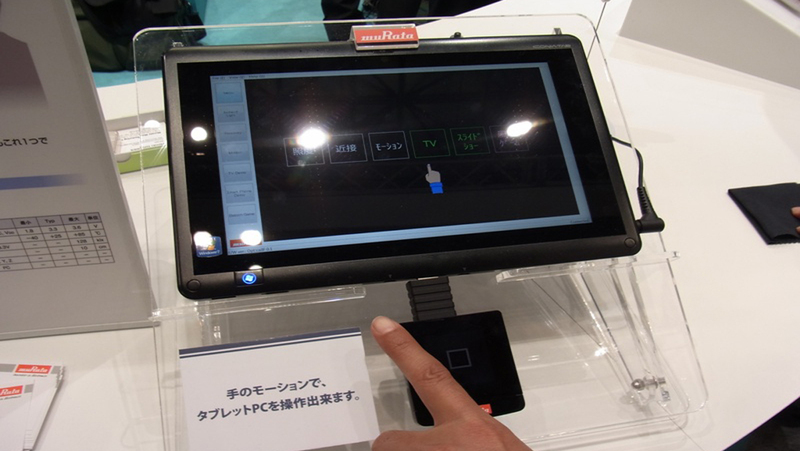 The new technology was presented at the exhibition CEATEC Japan 2011. With the sensor, it becomes possible to operate a smartphone, tablet computer. Working with them may as wet hands, and also gloves. The new sensor was made by packaging three infrared-emitting elements used to realize the function of proximity sensor and one light-receiving element used to realize the functions of proximity and illuminance sensors. The dimensions of the sensor are 5.0 x 4.5 x 1.2mm. The sensor can detect a height of up to about 20cm.